Key ITW figures at their intervention at the School of Journalists yesterday ACN. The Catalan platform International Trial Watch - Catalan Referendum Case (ITW), which coordinates around 30 observers from 22 national and international organizations, yesterday announced that it will be submitting a report to the United Nations Universal Periodic Review, which Spain will be undergoing in January and February of 2020. 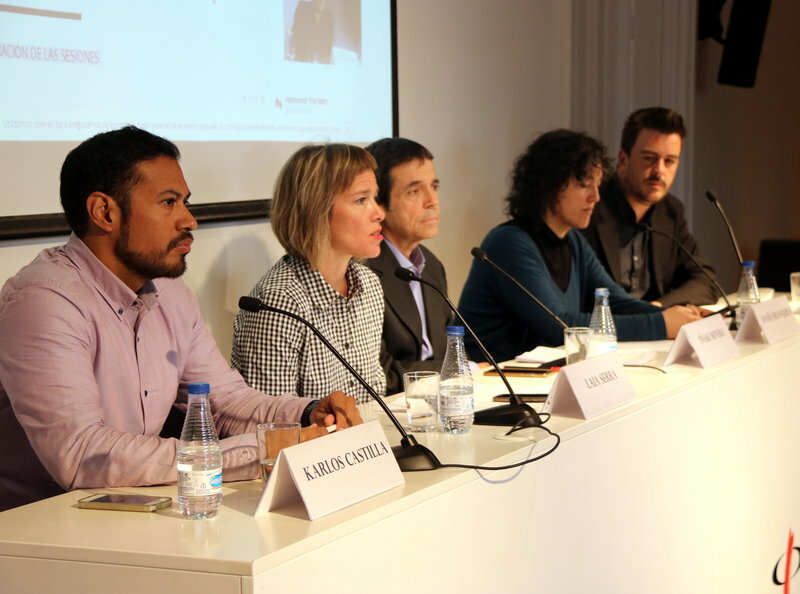 After a month and a half of the trial against pro Catalan independence figures, representatives from the six Catalan organizations that make up the ITW said that the international observers unanimously believe the trial to be political and according to criminal lawyer and litigation director of Irídia, Anaïs Franquesa, the trial is an attempt to “turn democratic conduct into a crime” . The platform criticized the court’s decision to ban the viewing of images to show contradicting evidence to that testified to by witnesses. Laia Serra, from the Catalan Association for the Defense of Human Rights (ACDDH in Catalan) argued, in light of the ban on the viewing of images and the fact that interrogations are being limited to the questions asked by the proponent party, that “a chilling effect is taking place”. She added that the right to “the equality of arms”... “is being violated, since evidence is being produced without all parties having knowledge of it”. Iñaki Ribera, director of the Observatory on the Penal System and Human Rights of the University of Barcelona, said that the most recent Civil Guard testimonies seem “rehearsed” and that in some cases this could be because they listened to their superiors testifying on TV before being called to testify themselves.